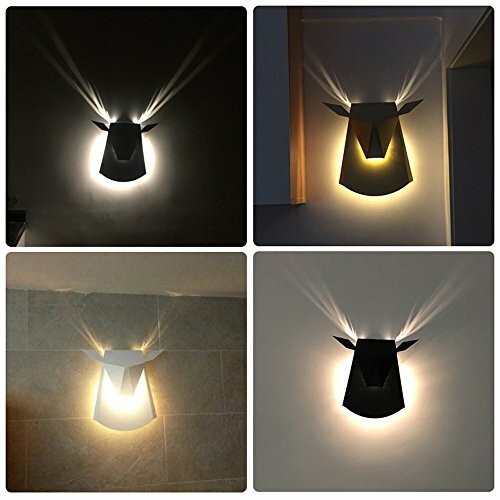 This wall lamp for all space, restaurants, corridors, aisle, bedroom, living room, bathroom, bar, cafes and so on. Modern industrial style, retro, three classic colors can choose, have a strong decorative effect. ▲ good news, very grateful to customers! Now we have updated the product. 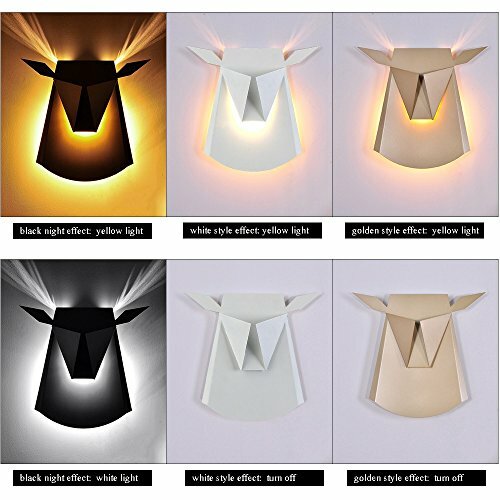 ▲ anytime, anywhere to ensure quality problems, enjoy a pleasant shopping experience, I wish you a happy shopping! 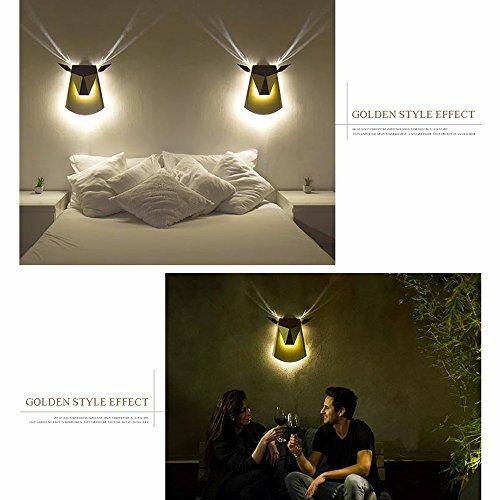 ★Fantastic lighting effect: to create a personalized art of the magical effect of light, with you to experience the fantastic light, romantic and simple details of the warmth, the atmosphere distributed in the integration of this skylight, warm winter Yan, all good. 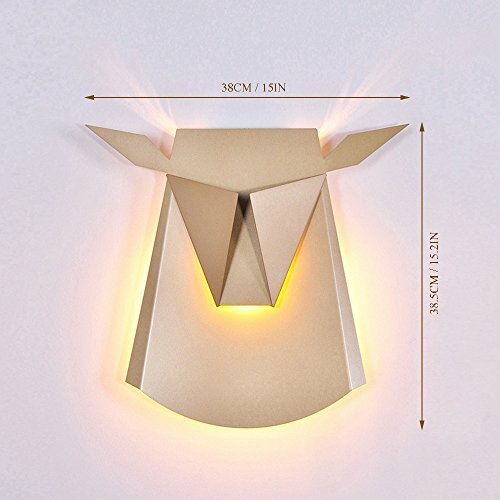 ★Creative iron lamp body: the use of LED light source, low power consumption, high brightness, low carbon environmental protection, shape, such as antlers, very fine, artistic light in the air wantonly show. ★Fine metal spray: choose environmentally friendly paint, benzene does not contain harmful substances, environmental health, soft texture. 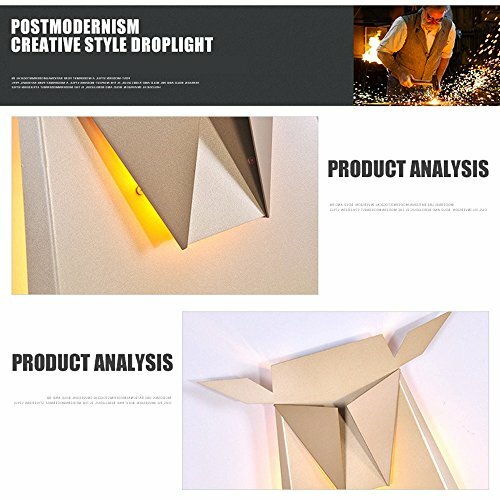 ★Process: cutting, grinding, baking paint, light polished aluminum polished glossy surface. 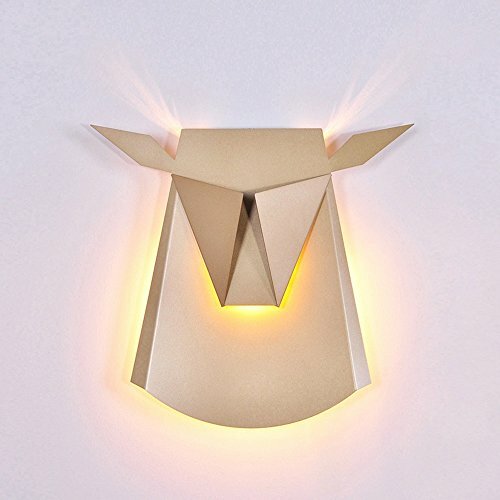 ★The light source of this wall lamp is LED patch (presented to our customers), you only need to install can use. If you have any questions about this product by CHUANGCHUANG, contact us by completing and submitting the form below. If you are looking for a specif part number, please include it with your message.